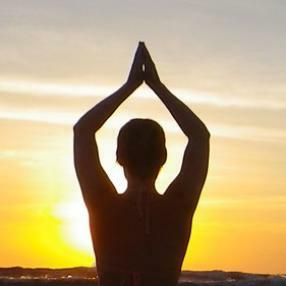 Sunrise Yoga introduces you to a gentle approach to Yoga that will teach you how to create a progressive series of poses that flow smoothly and accommodate all fitness levels. Poses that increase muscular strength and flexibility, improve balance and coordination, reduce stress and enhance the feeling of well-being while linking mind, body, and breath. The word Yoga comes from the Sanskrit word of “yuj” meaning “yoke”, “join”, or “union”. The union is of mind, body, and spirit. Yoga is approximately 5,000 years old and originated in India. There are many types and styles of yoga. "Yoga is not a religion; it is a collection of techniques designed to bring health and well-being." ~ Students getting grounded and relaxed. Yoga workout class aimed to strengthen and to stretch your body. Perfect morning yoga to wake up your body. 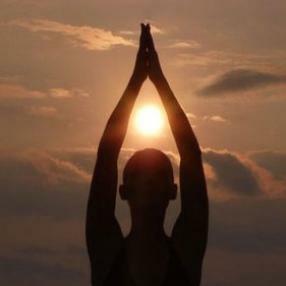 An energizing morning yoga practice can work as a natural stimulant to set you up for a productive day. Yoga for kids isn’t quite the same as adult yoga. Here it’s okay to make noise, it’s okay to be a bit fidgety, it’s okay to just move however the body feels like moving—no corrections needed. The best part about yoga for kids is that you can do it as a family, and have fun. Yoga for kids can help little ones find better focus, increase flexibility, balance, and coordination, and boost self-confidence. Children, parents and even grandparents can spend time together. Yoga is an activity you can do with your child no matter what age. A family yoga practice will strenghten the bond between parent and child while having fun at the same time. Poses, yoga games, breathing and relaxation techniques will complete your yoga journey. I am very happy to develop my classes based on Our Mandorla approach to: Vinyasa Yoga where the instructor will guide and work with you and the kids through slow and mindful poses and synchronized movements, linked with breathing techniques and games to make it fun for them and make them feel much more relaxed at the end of the classes. "Attention is the most basic form of love."